A Mass of Christian Burial for Father Thomas D. Dolan, a senior priest of the diocese, was celebrated Saturday, Nov. 5, at St. Elizabeth Church, Ozone Park, at 10:30 a.m. He died Oct. 29. He was 92. Born in Brooklyn and baptized at Holy Family Church, Park Slope, he was raised in St. Anselm’s parish, Bay Ridge, where he attended the parish school and then went on to Cathedral College, Brooklyn, and Immaculate Conception Seminary, Huntington. He was ordained June 9, 1951 by Bishop Thomas E. Molloy at St. James Pro-Cathedral, Downtown Brooklyn. 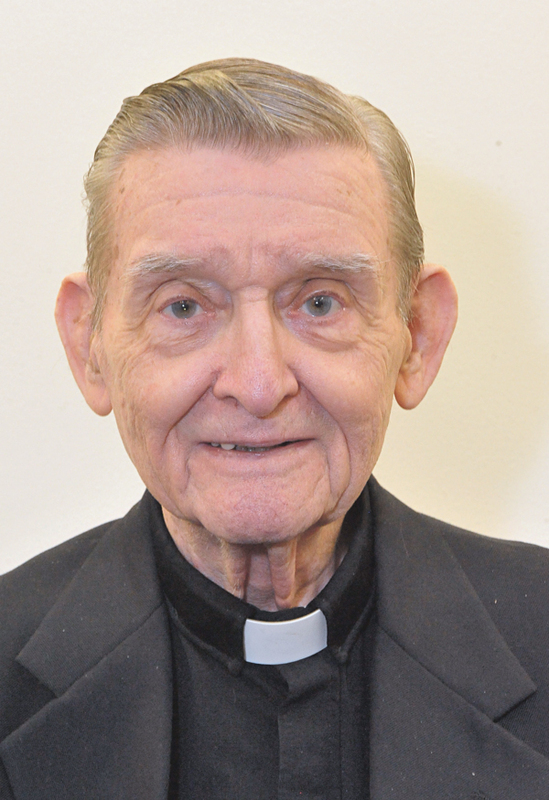 He served as an assistant at St. Francis Xavier, Park Slope, 1951-66; Good Shepherd, Marine Park, 1966-77; and St. Elizabeth, Ozone Park, 1977-95. He retired in 1995 and remained living at St. Elizabeth’s rectory until 2011 when he moved to Bishop Mugavero Residence, Douglaston. “He was a kind and gentle man,” remembered Ann Dolan, his sister-in-law. “He needed very little to keep himself happy. Auxiliary Bishop Paul Sanchez was the main celebrant. Special concelebrants included Msgr. Edward Ryan and Father Robert Barclay. Father Dolan was the brother of the late Father Joseph K. Dolan. He had five other siblings, including two sisters who were members of the School Sisters of Notre Dame. Burial was in Resurrection Cemetery, Staten Island.